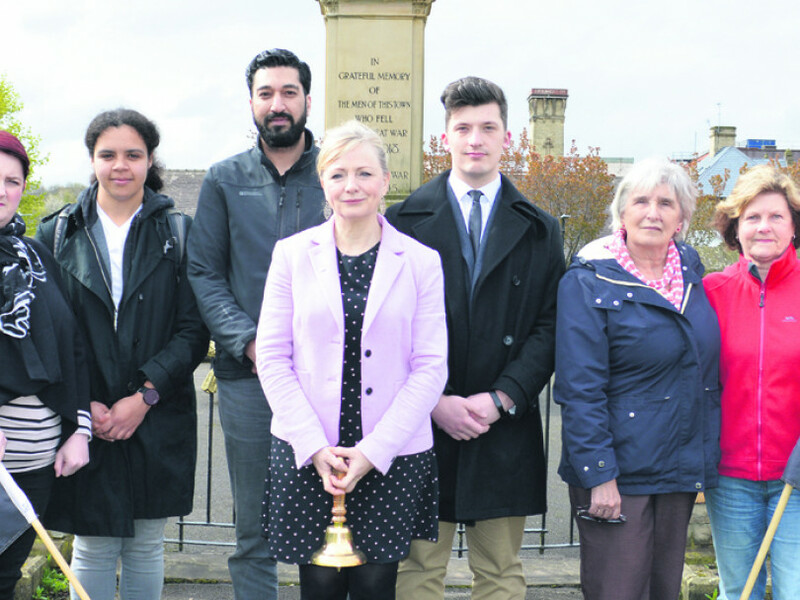 BATLEY & SPEN MP Tracy Brabin and local council candidates commemorated International Workers’ Memorial Day at Batley’s Memorial Park. A minute’s silence was held, followed by the ringing of a specially-commissioned bell on Saturday. Pictured – Jude McKaig, Jasmine Kennedy, Arfan Asif, MP Tracy Brabin, Tom Kowalski, Coun Viv Kendrick and Coun Gwen Lowe.